I’m naming this my favorite keto bread recipe to date! While it took a bit more effort than an egg loaf, it was worth it for more of a bread texture. We ate this with butter for dinner and then I made french toast with it the next day. It made a great breakfast, slathered in butter and sugar-free syrup kept it simple and low carb. Only 2g total carbs per slice. 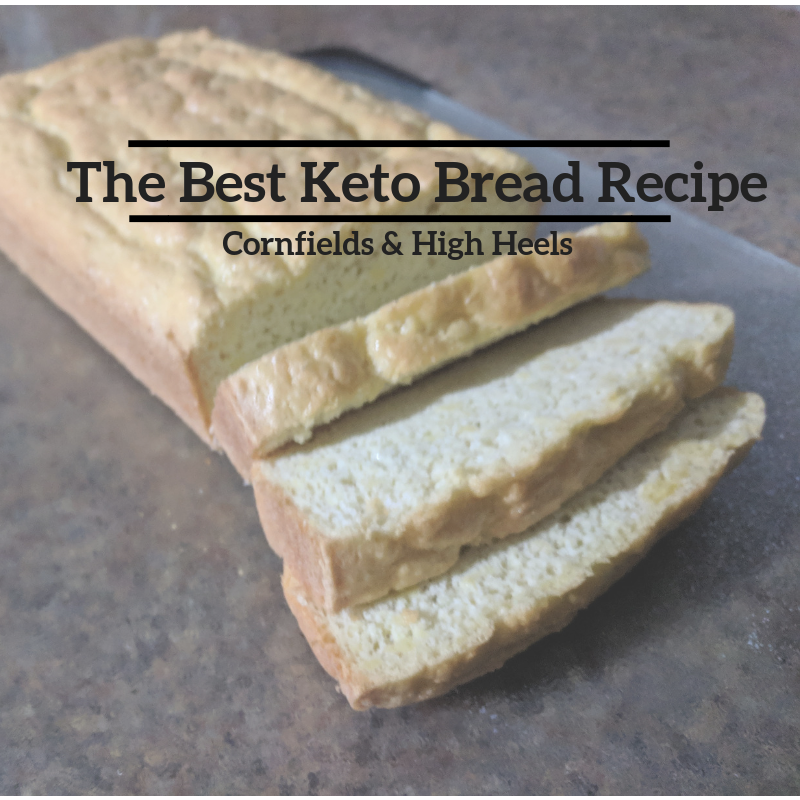 All credit for this keto bread recipe goes to Keto Connect! I did modify a few things to my liking, I omitted the salt because I didn’t have any on hand, and I used regular stevia since I was out of liquid stevia. I also just sprayed the pan down with olive oil instead of butter. The full link can be accessed here. In bowl, mix the egg yolks, 1/3 of the beaten egg whites, melted butter, almond flour, baking powder and salt (Adding ~6 drops of liquid stevia to the batter can help reduce the mild egg taste). Mix until combined. This will be a lumpy thick dough until the whites are added.